User onboarding is such a powerful concept, full of light bulb moments driven by seemingly obvious marketing that so few of us actually do. 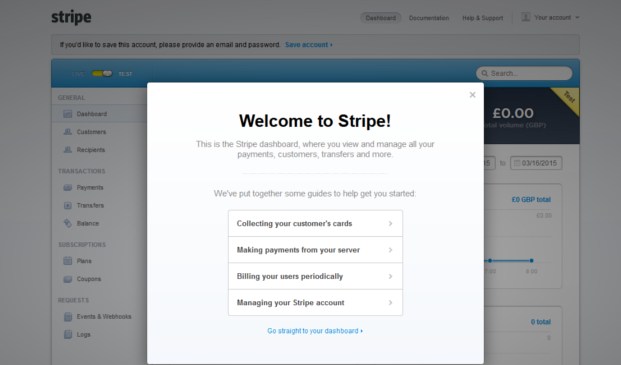 Online payment platform Stripe has definitely applied user onboarding principles to their website and order process. Their sign up process is one of the best I have ever seen. In this post I will give you a breakdown of that experience, along with notes on how you can apply these ideas to convert more customers through your sign up process. You can read my guide on how to create your first user onboarding strategy for more detail about the concept. In a nutshell, user onboarding is a process for increasing the likelihood new users become successful when adopting your product. Successful customers stay longer, spend more and generate positive word of mouth. They are also much less of a drain on your resources. 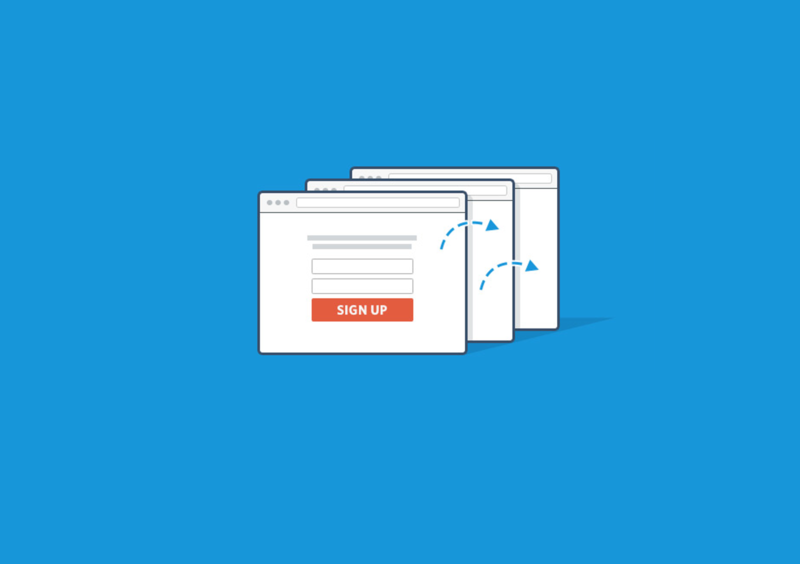 There are five stages to consider when putting together your user boarding strategy. 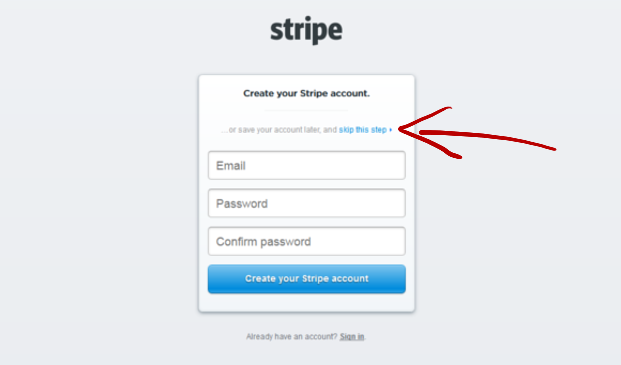 In this post I am looking at Stripe’s introduction to the product and sign up process. Let’s get started! This is a classic example of modern Unique Value Proposition (UVP) principles (read more about creating a UVP on the Help Scout blog). 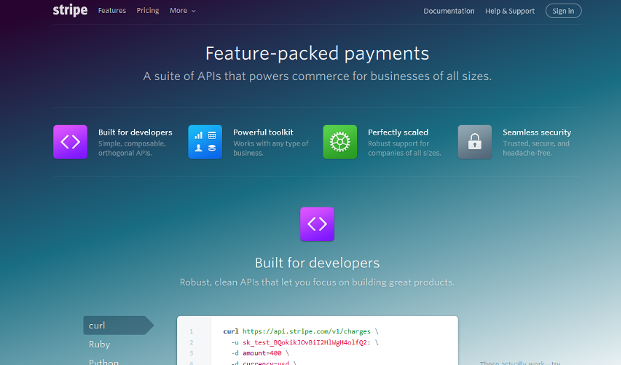 The headline firmly plants their flag within the web developer community, supported by a sentence explaining the benefits of using their product. They are also using a trusted and fashionable companies (Lyft and Dribbble) to show it being used in the wild, instantly adding credibility. Although beautifully presented, there is still not enough information for me to sign up, so I am going to click on the very easy to find “Learn more about Stripe” call to action. The next page guides me through all the key features and benefits of the product, as well as any concerns I may have about security. So far, so good, but you may be thinking “It looks very pretty, but these type of sites are a dime a dozen now”, and you would be right. But it is at this stage onwards where Stripe does a particularly amazing job. Signing up to an account – or not! 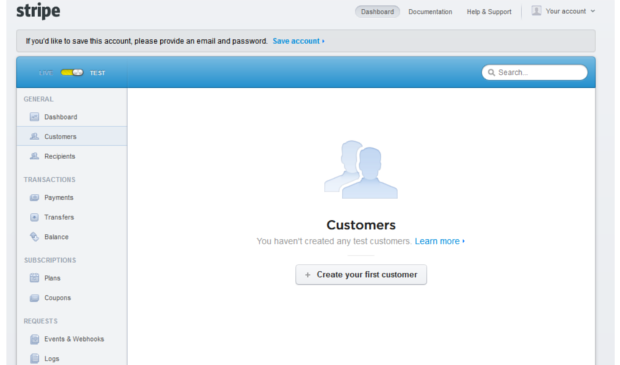 I don’t have to create an account to start using the product. How often do you see that? You’ll notice from the screenshot below, even if I do choose to create an account, they aren’t asking for me to buy upfront. 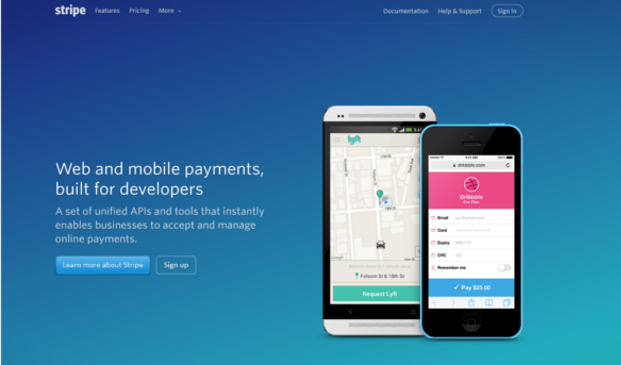 They are only interested in customers who are confident they want to buy from Stripe. This will reduce churn, the load on their support staff and creates a customer base that is instantly positive about the brand. I’m not ready to commit my personal data, so I’m going to ‘Skip this step’. Rather than leaving you to it, and hoping you work out, upon logging in for the first time you are given access to some great getting started guides. Alternatively you can dive straight in and ‘Go straight to your dashboard’. Stripe are clearly eager to provide assistance at every stage, with links to ‘Learn more’ on each sections’ home screen. If I have spent hours playing around with the account, adding data and testing the code on my website, I would feel very strongly about not wanting all that time to be wasted. I would need the gratification that can only come with going live. That means I need to start becoming a paid customer! That’s all great, but where are the takeaways? I’ve taken you through each stage, highlighting some nice features, but here are the lessons you can take away from Stripe. 3 steps to having an account – Home page, product page, form – done! This is a very confident approach to marketing, and they clearly have a lot of belief in their product. 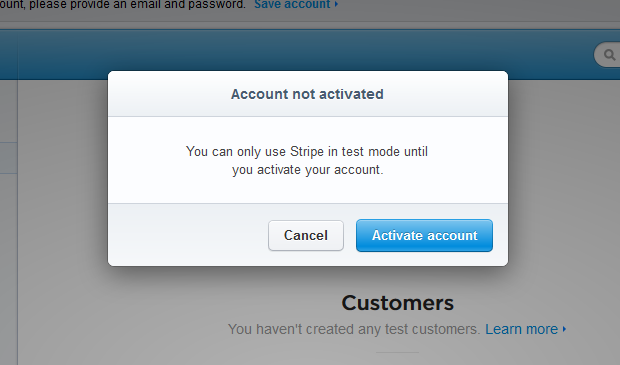 You may think that your product can’t live up to that kind of scrutiny, or you can’t afford to support free accounts. A lot of marketing theory based blogs would now try to convince you why it is a worthwhile investment to offer free accounts, or that if you aren’t confident in your product, you shouldn’t sell it. Both those points of view are nonsense in the real world. But that doesn’t mean you can’t cherry pick elements of it. Are you providing guidance for new customers – how are you helping them set up their account and achieve that first quick win? Is every question you ask in your order process 100% necessary – how can you strip it down more? Is every stage in your order process necessary – what can you consolidate or remove?